Thanks to Fusible.com for the heads up on this interesting news about potential titles for next summer's Transformers 4 blockbuster. 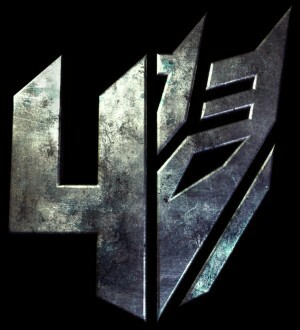 Fusible.com wrote: The same brand protection agency that registered TransformersDarkoftheMoon.com back in 2010, has registered a few new domain names that could be possible titles for Michael Bay’s untitled Transformers sequel. Stay tuned as further information becomes revealed! well the plan is to make a new trilogy right? maybe those are the three titles. and damn, thats a very nice shot of Prime's new design. Bouncy X wrote: well the plan is to make a new trilogy right? maybe those are the three titles. Yah that was an awesome opportunity last weekend. Just me, Optimus Prime and Hound alone for about 10 minutes. I had tons of time to photograph them plenty and even take some video of them before a security guy shooed me off. Anyone else getting an X-Men vibe from these titles? Anyone else getting a very dark feeling from these titles? CR71Autobot wrote: Anyone else getting an X-Men vibe from these titles? THat was my thought to. One wonders if there will be a time travel element involved in this. Crap, and I had just finished a detailed report about this, spoilers and everything. If that is going to be the title, it makes sense that the Dinobots are in the movie, seeing as how dinosaurs are extinct. I just hope that all five of them are in the movie, rather than just Grimlock and maybe Slag. Hopefully, it means the extinction of the human race. Or, it could just be because of the Dinobots. SlyTF1 wrote: Hopefully, it means the extinction of the human race. Or, it could just be because of the Dinobots. 1: would be to finally get the rest of the dinobots and I hope that they look similar to FOC Grimlock. Age of Extinction? I can live with that. Better than Dark of the Moon, that's for damn sure. DOTM is right up there with Kingdom of the Crystal Skull and Attack of the Clones on the list of sh!tty sequel titles. 4,633 pages were recently viewed by 536 unique visitors. This page was viewed 1 times on Monday, April 22nd 2019 3:33am CDT. © 2019 Seibertron, Inc. DBA Seibertron.com. All Rights Reserved. Established June 2000. Seibertron.com is owned by Ryan Yzquierdo.